Spying is not new and you might have seen some of these real spy gadgets being used in movies by secret agents, government officials and detectives. Nowadays there are many devices you can use to spy and monitor your environment in order to keep your family safe. Check out my recommended 9 Real Spy Gadgets below if you are serious about improving your families' security. The Wireless Nanny Cam Teddy Bear is a real spy gadget that can guard your house well. It can help you keep an eye on your children and it is useful for when you have concerns about your babysitter. The Wireless Teddy Cam is fitted with a colour camera and transmitter that can record visual data straight to the cloud when motion is detected. Averaging 90 days of standard use, this infrared and color surveillance gadget is a must have for you family. The camera on the photo frame can record full colour VGA video for 6 hours and it can record audio on a Micro SD card. You can review the activities that take place in your house through the camera-enabled photo frame. The camera-enabled photo frame is powered via a lithium-ion battery and it has a USB charging and transfer cable comes with its purchase. This Xtreme Life Air Freshener has a hidden camera that is Wi-Fi enabled. This camera can transfer footage directly to any device and it will help you monitor activities in your home. The camera footage of the Wi-Fi enabled air freshener has a 50 degree viewing angle and footage can be recorded through Wi-Fi or an AV recorder application. The Pet Eye View Camera made by Uncle Milton and weights just 3.52 ounces. It can be clipped on the collar of your dog or cat. 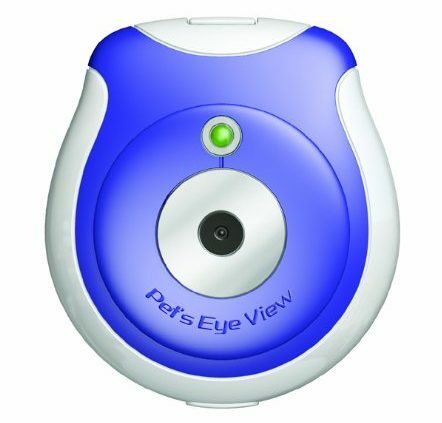 With the Pet Eye View camera you can record or take pictures. The camera can record for up to two hours and it can store up to 40 photos. The camera is powered by a bilithium battery. The hidden camera clock is able to record and it has a motion activated hidden camera so that you can keep an eye on what is happening in your home. The alarm clock can be connect straight to you wifi enable smartphone or computer and live streamed directly to you. All you need to do is simply download the App. Check out this Hidden Camera Wall Clock from TenGong. The camera pen can help you monitor your environment in a very covert way. This Security Camera Pen comes with a FREE 32GB Memory Card. This means it can hold up to 5-6 hours of video recording before it begins looping over. The camera pen comes with a USB that enables you to upload the videos to your computer. While wearing the camera pen you can record events as they occur in your home. This PockeTalker Ultra Sound Amplifier is a real spy gadget that magnifies sound. You can use this bionic ear hearing amplifier to hear what your spouse, children and others are talking about. The device helps you hear conversations from a distance. Some Bionic ear hearing amplifier can be used from 20 – 50m away and they are able to amplify sounds ot 50 decibels. This spy gadget has a volume control that helps you control the sound volume. A spy watch is a spy gadget you need and blends in seamlessly with what you are wearing. This smart looking sports watch has a hidden HD camera built right in. With a generous 32GB SD card for storage, capturing those important moments is a breeze. Simple activation with a fingertouch display and operation of normal watch configurations make this spy watch a must have. Here's a pair of awesome Spy Glasses that allows you to monitor and record your environment where ever you go. Alternatively you can simply use them as a travel camera for taking those one in lifetime motion snaps. Up to 2 hours of video recording and simple transfer via USB connection to your computer.